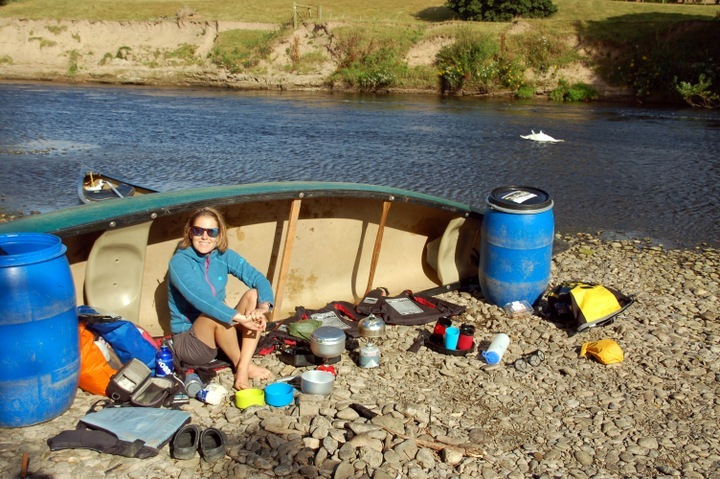 Joey Holmes from Cool of the Wild shares her top tips for canoe camping.. Probably my favourite thing to do in life is to go camping. 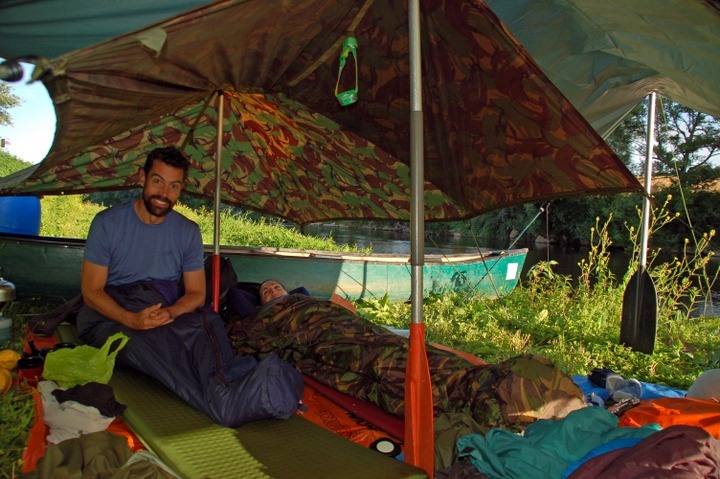 Sleeping out in my back garden or pitching up on a crowded campsite used to be just enough for me to get my camping kicks – camping is camping and I love it! But, over the last few years my camping capers have been less about just doing it, and more about properly getting away from it all to seek more sequestered settings for my starlit slumbers. It’s wild camping that I love the most – camping anywhere where other people aren’t! I’m not an unsociable person, far from it. But when everyday life is so busy with people, sharing my little piece of well-earned, hard-to-reach wilderness with anything but wildlife and nature is simply non-negotiable. Well almost; I also extend the invitation to my personal paradise to my nearest and dearest. So with not enough time on our hands to head to the wilds of Scotland this summer, my small crew of paddling pals decided that the next best place to find a few days worth of convenient and wild sleeps, was on the river. We tackled the calm waters of the River Wye for four days and three nights of paddling from Hereford to Redbrook. 54 miles of (mostly) peaceful, tranquil, remoteness. Of course the route wasn’t wilderness all the way as we passed through a couple of towns and under some busy bridges, and much of if it wasn’t really wilderness at all – you really do have to make the effort to find that in England. But it was quiet enough to feel like we were exploring a wild corner of the countryside, even if beyond the banks was nothing more than back gardens and farmland. Despite the closeness of civilisation, the River Wye still managed to provide us with an excellent selection of wild camping spots to bed down in at night. I stumbled upon a paddling forum before the trip which indicated that farmers in the area seemed OK with the occasional paddler using the pebble beaches for respectful overnight rests. That said, we were very discreet and made sure we were well out of the view of any passers-by or prying eyes. For successful wild camping in places that don’t quite make wilderness status, being discreet is key. And of course leaving no trace goes without saying, whatever kind of adventure you are undertaking. We slept in low profile bivvy bags with an essential backup tarp in case of rain, which we used on two nights – one night as an unnecessary precautionary measure, and the other as middle-of-the-night emergency shelter from an unforeseen and sudden downpour. Our bivvy bags did a great job of keeping our sleeping bags dry whilst we hashed together something that resembled rain protection in our half-sleep states. And our paddles really came into their own as the cornerstone to our cosy wild camping temple. By day we also tried to stay in stealth mode whilst on the river, and it really paid off. Not for dodging humans, but to maximise the opportunities to creep up on unsuspecting wildlife. Once we’d mastered silent paddling, we soon found that keeping our movements slow and staying as quiet as possible meant that we were treated to some wonderful wildlife spectacles: loads of Kingfishers dipping and diving their way down the river (I’ve never even seen one before! ), Peregrine Falcons swooping and crying high up on the cliffs, Shags majestically drying out their wings in the evening sun after a long day of hunting, some unidentified water rodents darting along the river’s edge, and an early morning river crossing of a deer and her fawn. Just incredible! There were also loads of other birds, geese and ducks, hundreds of Swans and a good handful of Herons, that all kept their beady eyes on us, their floating guests. Logistically, the non-circular nature of journeys by river can be somewhat challenging to set up with travel etc. 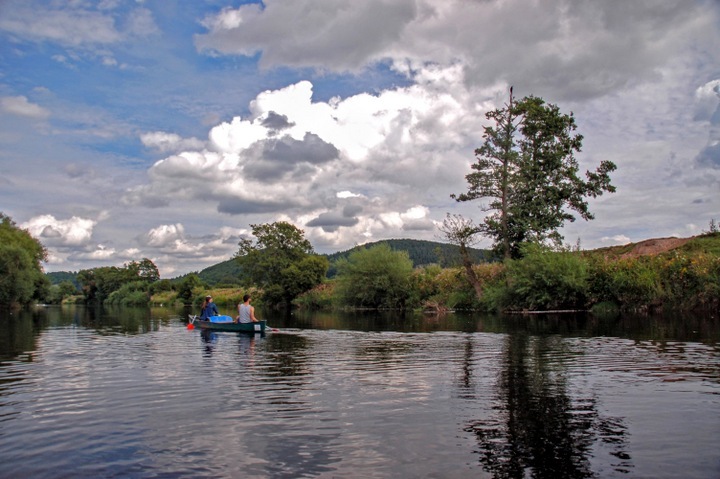 So to keep things simple we hired canoes from Ross-on-Wye Canoe Hire. They provided us with dry barrels and safety equipment, drove us and our canoes to Hereford, and then picked us up downstream at Redbrook a few days later. 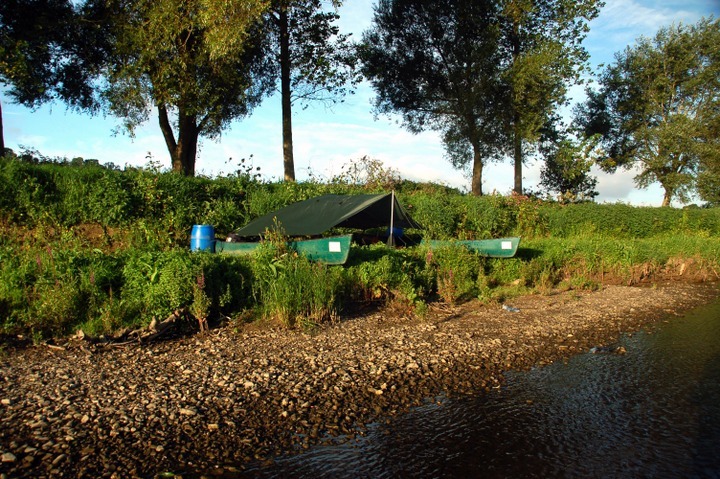 There are a good few ‘proper’ campsites along the River Wye making a multi-day canoeing trip a super simple and accessible way for newbies and families to explore the river. Be discreet and respectful when choosing wild camping spots. Make sure there are no restrictions to stopping on the river banks. There are a few stretches on the Wye where stopping is prohibited for wildlife protection. These sections are clearly signed, but it’s worth knowing before you go. Pack everything in dry bags, even if it will then go in a dry barrel. As well as extra water protection, it’s also a great way to organise your gear. Bring great food! Take advantage of not having to carry all your gear and bring a cool bag full of ingredients for great post-paddle meals. 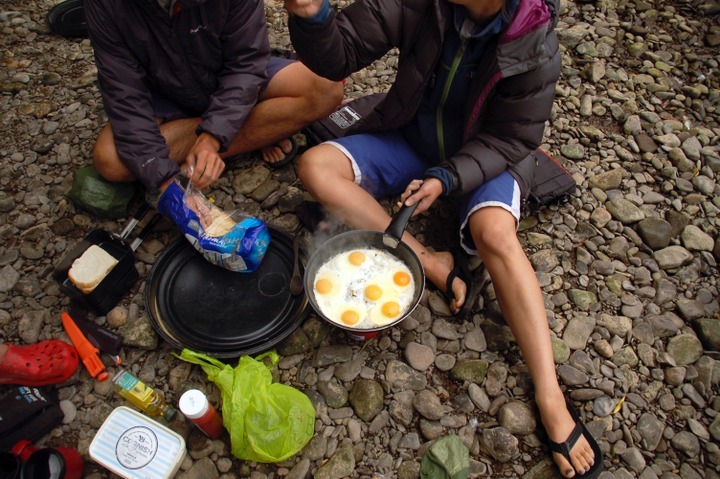 Paddling 10-15 miles per day means you’ll have time on your hands to prepare and cook proper meals. To make the most of exploring the river and its banks, we did a half hour paddle before breakfast each morning and then beach up for a well-earned cooked breakfast in a new spot. Take lots of water and make sure you can fill up at some point. Alternatively, make sure you have a supply of camping gas to boil river water plus another water filtration device. Use bungee cords on your tarp instead of guy lines. They ensure super quick tarp erection and create instant tension – essential for last minute rain protection! If it’s windy, a canoe makes the perfect windbreak to an otherwise exposed camping spot, so snuggle in next to your canoe for shelter from side winds. Paddle early in the morning and late in the evening – the best wildlife comes out at those times and the light on the river is perfect at those times of day. We then spent a couple of hours during the middle of each day just floating along, our canoes rafted together, reading to each other to pass the time. And of course loads of wild swimming – bliss! Wear quick drying shorts if it’s warm enough. You’re bound to get a soggy backside. 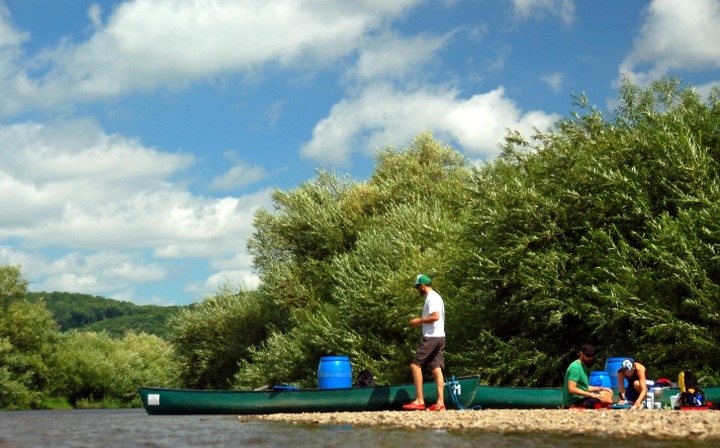 So if you’re looking for an easy to organise convenient adventure with a bit of a difference, then the River Wye is setup perfectly for multi-day canoeing adventures. We loved every minute of it and highly recommend. Joey Holmes is the editor of Cool of the Wild, an online resource for outdoor lovers. 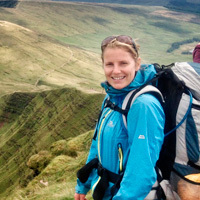 She has endless enthusiasm for any excuse to get out there and enjoy being active in the outdoor world, and loves sharing this passion to inspire others to find and follow their own dreams.